If your staircase turns corners or has multiple landing areas then a Curved 2000 Stairlift would be an excellent addition to your home. Why Choose a 2000 Curved Stairlift? If you have a staircase which turns corners or has any sub-landings, you’ll require a curved stairlift. The unique 2000 twin curved rail system is customised and tailored to your individual staircase giving the best possible fit. Companion Stairlifts are purposely designed for ease of use, safety, and the customer at the forefront. Internal batteries to enable stairlift to run in the event of a power cut. Powered hinged rail which allows rail to be folded out of the way to avoid blocking doorways or access points. 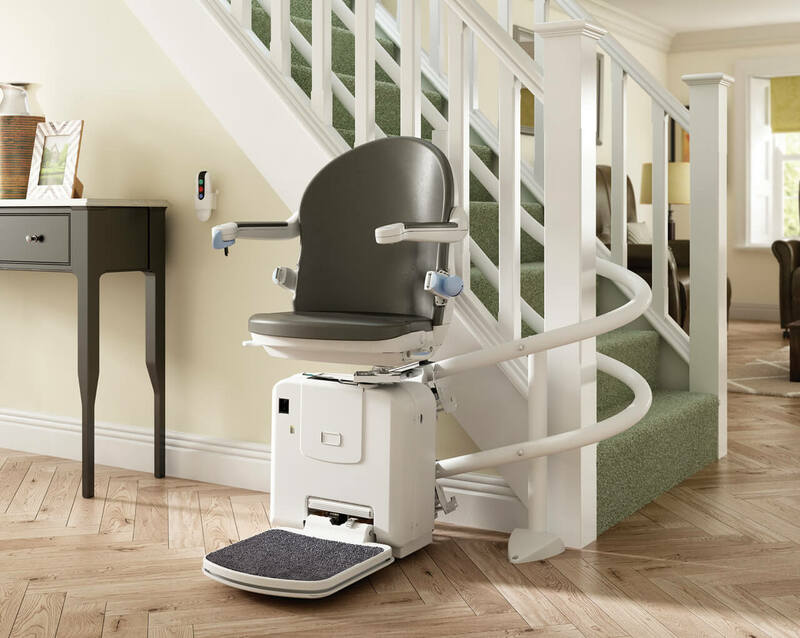 For more information on how a Curved 2000 Stairlift would suit your home, just give a member of our friendly team a call.